When it is time to replace the glass in your car or truck, call Searcy's auto glass and windshield replacement leaders at (501) 268-6518. We stock all of the most popular windshield and glass replacements to make sure we have your new auto glass whenever you need it. If we do not have your replacement in stock, we can usually get it the same day thanks to our daily auto glass replacement deliveries. At Searcy Auto Glass our motto is: Service, Service, Service! 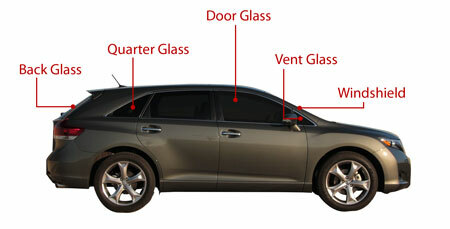 Every auto glass customer can expect the very best in service and quality. "No matter the cost, we DO NOT cut corners." Plus, our 100% lifetime guarantee ensures your auto glass or windshield replacement will last for as long as you own your vehicle. Expect Searcy Auto Glass to go above and beyond for all our customers. Our goal is to provide service that is second to none. While waiting on their vehicle to be completed, we drive our clients to Wal-Mart, McDonald’s, or anywhere else in town they may need to go. Searcy Auto Glass practices safe windshield replacement procedures as outlined by Auto Glass Safety Council. Each of our windshield replacement specialists has been trained and certified to replace the windshield in any year, make, or model of vehicle on the road today. To learn more about windshield replacement safety, click here. © 2015 Searcy Auto Glass, All Rights Reserved.